How often have you been asked this…. by yourself ?? Because others would not bother to ask you this question. They will simply categorize you as one or the other way round. This is so because they have restrained their minds only towards the extremities of other people’s personality. (woww !an oxymoron..ha…) . 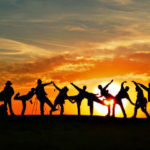 We never thought of the possibility of existence of a third trait which settles itself somewhere between the two extreme polarity traits – Extroversion and introversion -which is Ambiversion– the intermediate state. 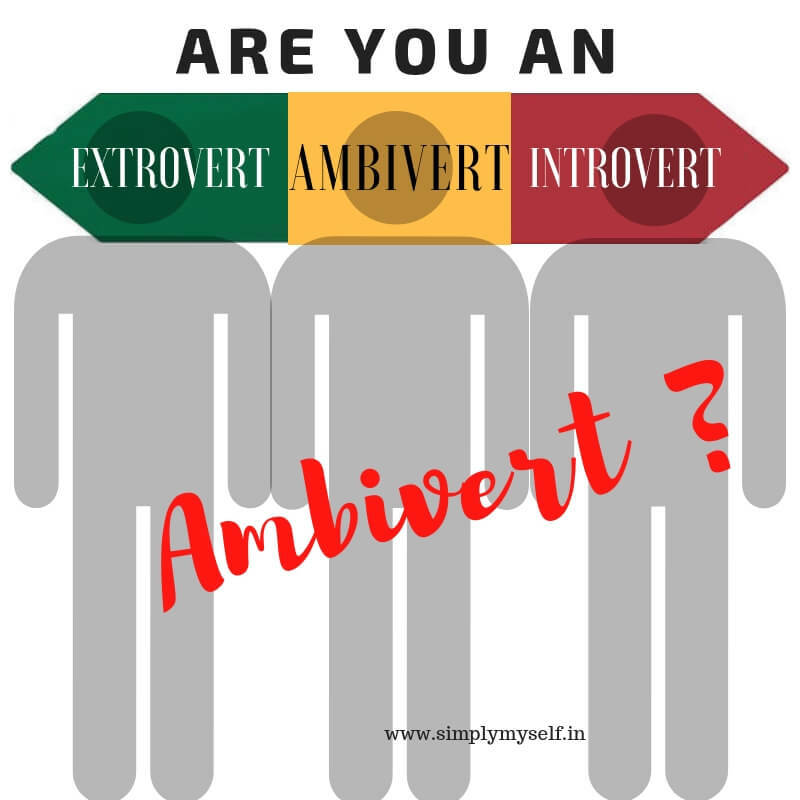 An Ambivert is basically an extroverted introvert. A person having a balance of both extrovert and introvert features in his/her personality. If you have never heard this term or have always been confused about which one is you …extrovert or introvert?…then you should read this article. I feel after reading it, many of you can take a stance about your own personality. 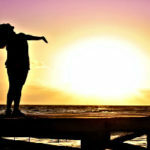 Being an ambivert, I think, is the best personality a person can have….and why do I think so? Well, if you are an ambivert ,you can socialize very well and at the same time enjoy your own company. If you have a plan with friends, say for a movie, that’s great. But if for some reason the plan is cancelled, you are still on with your plan to watch the movie with your own self. Doesn’t that sound cool ? You are a good communicator. It is so much of fun talking with people about different topics and sometimes, you like to skip from discussions and just want to listen to their stories, their take on a particular topic. Many of your friends will tag you as a good listener, their support system…and many would say ” you are so entertaining and lively, no one will ever feel bored with you”. You are highly intuitive. You introspect people, their thoughts and most often, you think before you speak. Your flexible personality is your forte. With an extrovert person you prefer to listen more and with a shy one, you are ready to initiate a conversation. ” It is no mean happiness to be seated in mean “. So , are you too seated in mean position? Let me know which of the three traits best describes you. 🙂 How well you have described this personality type!!!!!!! !